Corinthia Lisbon Business Hotel: Portugal’s largest conference hotel, might not strike you as particularly green on first sight. Yet, five-star Corinthia Lisbon Business Hotel is on a mission to reduce its environmental footprint through smart technology and engineering, without reducing comfort. 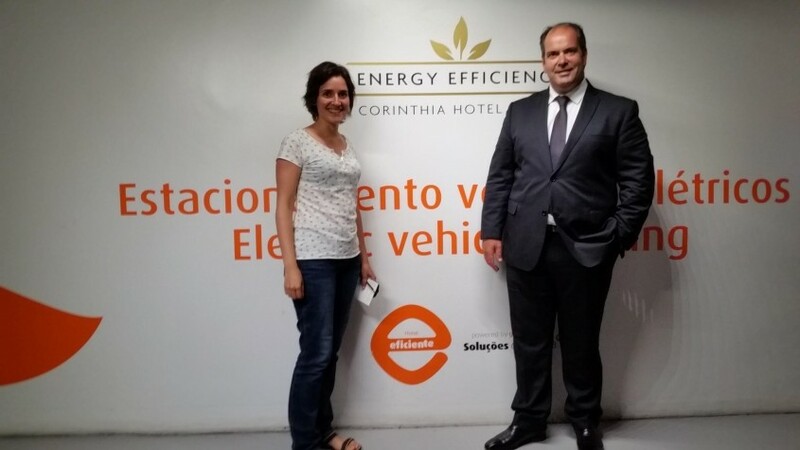 Last September we were invited to stay at the hotel and seized the opportunity to get to know Pedro Ferreira, Corinthia’s chief engineer and senior manager in charge of sustainability. Corinthia hotel’s multiple awards for best business hotel dedicated to sustainability made us curious. 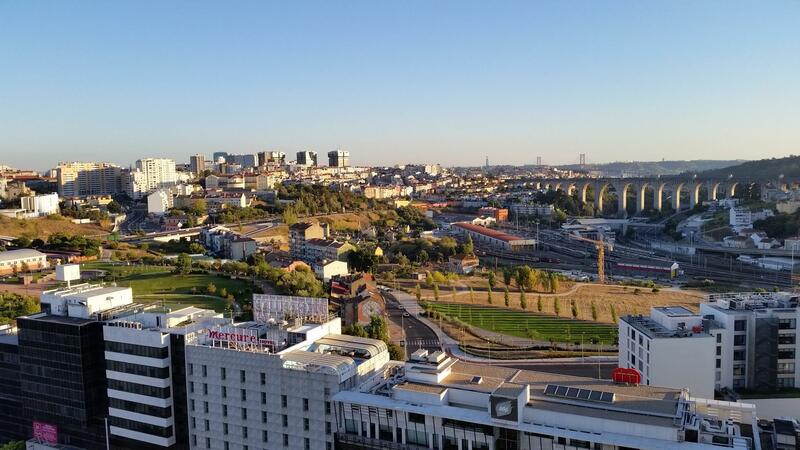 And knowing how difficult it is to “green” a building constructed in the 1970s, we were especially interested in how Portugal’s largest business hotel managed to become among the most resource-efficient of its class and location. Our three nights at Corinthia Lisbon also provided a welcome opportunity to recover from a press trip through São Tomé and Príncipe in West Africa, for the Sustainability Leaders Project. Corinthia Lisbon is ideally located, especially for business travelers who want to benefit from short trips to and from the airport. 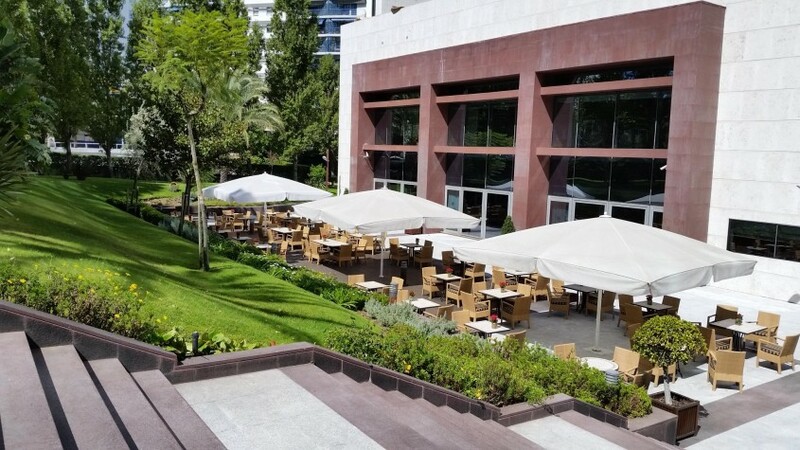 Train and metro stations are literally opposite the hotel, with frequent and fast connections to all main attractions. The neighborhood is located in a business district and felt save and quiet during our weekend stay. Smooth, professional, being treated like kings & queens, despite our very early arrival and not very chic look after a week in Africa (plus 6 hours on the airplane). Big thumbs up to the friendly receptionist who somehow managed to find us a room to catch up on some sleep before meeting the hotel’s management team for our Behind-the-Scenes tour – no easy task in a near fully booked hotel! 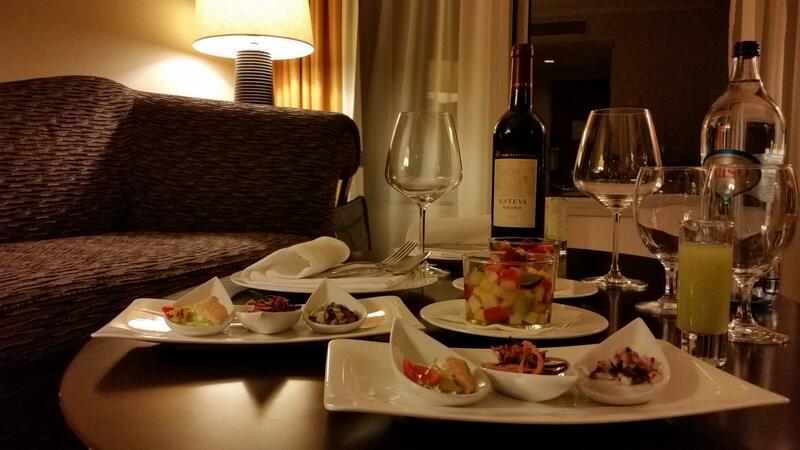 Service: Everything you can expect from a five-star business hotel. Executive room service with welcome snacks and drinks was very generous and much appreciated. Friendly and professional housekeeping and guest relations managers who genuinely cared about our well-being. Plus: Attentive and efficient marketing and media relations managers (thank you Maria & Rita!) and an approachable General Manager (Reuben) taking the time to say hello, despite busy schedule. Very comfortable albeit a bit old-fashioned and worn (carpet for example) – but nothing to worry about since the hotel’s plans for 2016 include giving the rooms a face-lift, now that the new lounge and reception areas are finished. Food served at ground floor bar (lunch) was alright but not as spectacular as in previously tested luxury or business hotels such as PARKROYAL on Pickering in Singapore, or Crowne Plaza Copenhagen Towers. Same goes for food served in executive lounge. The Garden Terrace (picture below) is comfortable and well-designed. In the evenings with live piano music, just what we needed to unwind and relax after a day of sightseeing. Corinthia Lisbon is unique for its size (Portugal’s largest hotel), its business and conference facilities and the impressive spa area with an unrivaled offer of beauty and wellness treatments – by far the largest we have seen so far. Views from the executive lounge are great, too. As award-winning luxury and business hotel, Corinthia Lisbon ticks all the boxes and has all it takes to guarantee comfortable stays, smooth conferences and memorable moments – especially if staying in one of the executive floors with access to the sky lounge. Staff friendliness was superb. From a guest experience perspective, Corinthia doesn’t come across as particularly green or environmentally friendly (most of its sustainability credentials are taking place behind the scenes). Bar and restaurants in particular could do more on the sustainability front, for example by sourcing local products and telling the stories of local and regional producers. As Portugal’s leading business hotel, Corinthia Lisbon is in a unique position to become a point of reference for healthy food, healthy meetings, and healthy stays. Stay in one of the executive suites to benefit from access to the executive lounge, with magnificent views over Lisbon! 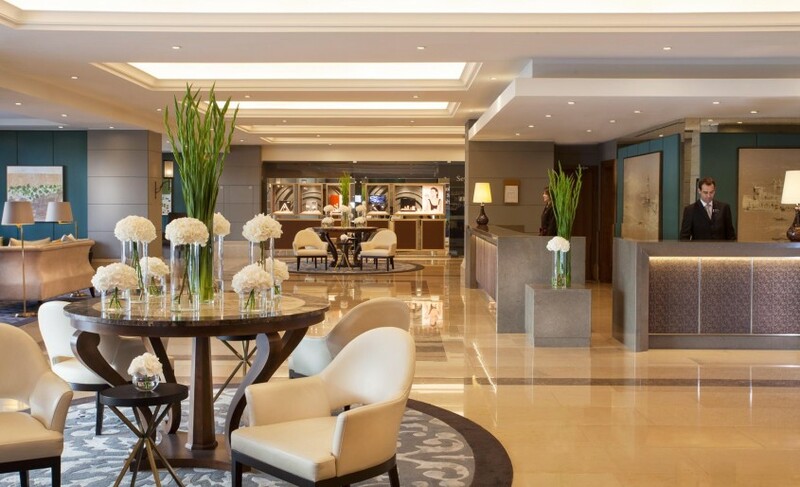 Enjoyed our review of Corinthia Lisbon business hotel in the Portuguese capital? Share and spread the word!